Look which is the most trendy color this year, and the most beautiful examples I’ve found. 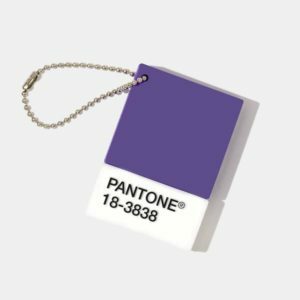 According to the Pantone Institute, the color of this year is purple, more precisely the ultraviolet shade of Pantone 18-3838, which, according to the Institute, communicates with its originality, ingenuity and visionary thinking, and helps to brighten our future. It’s definitely a strong color that contains two basic colors, blue and red. That is why, in history, this was commonly the color of minorities, especially those who fought for equality. I like the color purely from an aesthetic aspect, I prefer if the purple contains more blue than red, just like the chosen pantone. With this blue subtlety, it is such a perfect combination to forest green, gentle pink, strong red, baked orange, mustard yellow … In fact, I can not find a color with which it would not be a trendy couple;). Personally, I won’t combine it with black in the upcoming months, because my closet is really more rainbow than black and because the purple-black combination can quickly look more like an evening look. Violet color is not the easiest to use when using it to create makeup looks, but if you apply it correctly and choose the right shade, it is very noticeable and interesting, and looks good with every eye color. 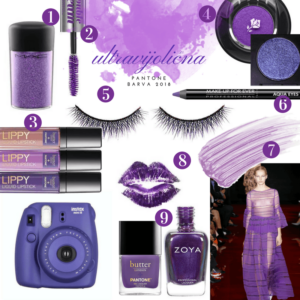 The ultimate ultraviolet shade is the best, because it’s the most neutral purple shade and is the least similar to the color of bruise. Make sure the skin is cleansed and looks healthy, so cover all the imperfections , especially undereyes, otherwise you will look sick. Pay special attention to the persistence of the makeup – choose a long lasting, because it is less likely that the color will begin to change into a reddish or bluish version that will only make you tired.